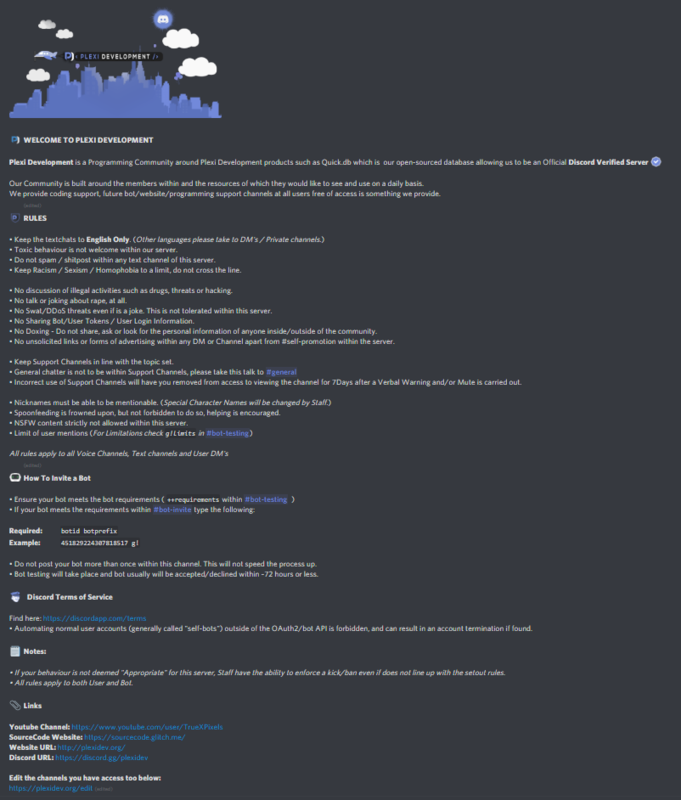 Are you interested in creating a Discord Bot but don't know where to start? Check out Plexi Development, the best place for you to find resources, tutorials, and an amazing community! OVER 6,200 MEMBERS AND GROWING DAILY! A growing community which is built around creating Discord Bots! Built from the ground up and assisting multiple people daily through our various support channels of which we have to offer! We are a verified server due to our open-sourced project with Discord being Quick.db, more can be found here. The community which we offer is open and welcoming to any user who wishes to start the development of a Bot or simply just want somewhere to talk within. 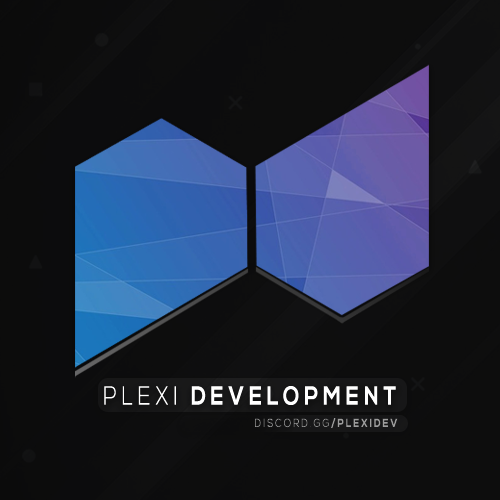 If you are interested in beginning to coding a Bot for Discord check our one of our many Youtube Tutorials at PlexiDevelopment or join our server with the link below! Over 300 bots! Including complex server features, only available here! Custom Verification Process Ensuring that you are a real user account. Active staff, and members within the community! Support Channels, able to get coding help to improve your Discord Bot!